Want to use fingerprint gesture to quickly view notifications on your android 9 Pie home screen? 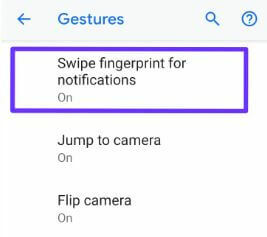 Here’s how to enable swipe fingerprint for notifications Android 9 devices such as Google Pixel 3, Pixel 3 XL, Pixel 2, Pixel 2 XL, Google Pixel, OnePlus 6/6, Nokia etc. 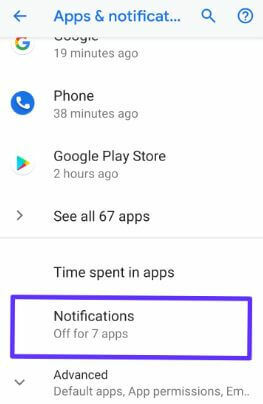 You can enable/disable swipe down notifications on Android Pie using gesture settings. 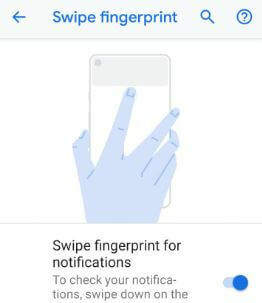 When enable the fingerprint swipe gesture on Android 9 Pie, just swipe down on the fingerprint sensor on the back of your phone to quickly check your notifications. You can’t see notifications on the lock screen using this Android 9 Pie gesture. 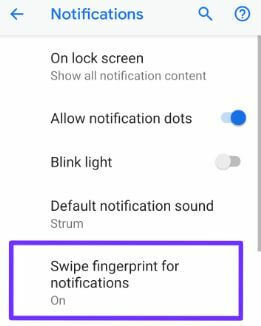 Follow below given step by step process to enable swipe fingerprint for notifications Android 9. 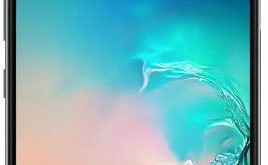 Check out below given two different methods to enable swipe fingerprint for notifications Android 9 Pie devices. 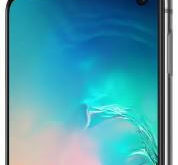 Here you can see swipe fingerprint for notifications, Jump to camera, Flip to camera, swipe up on home button, double tap to check phone, lift to check phone and prevent ringing. Now swipe down on the fingerprint sensor on the back of your phone to check notifications you received. You can see lock screen notifications, Notification dots, Default notifications sound and other settings. 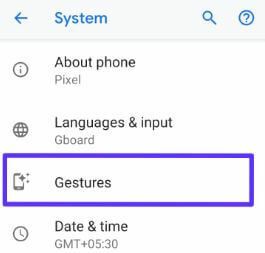 You can disable fingerprint swipe gesture any time you want using above given settings in your latest android 9 Pie supported devices. And that’s it. I hope this little tip useful to enable swipe fingerprint for notifications Android 9 Pie. If you have any kind of trouble, tell us in below comment box. 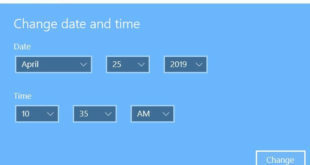 Stay and connect with us for latest updates.